Does Iran have nuclear weapons? Absolutely not. However, it is in the process of enriching uranium to a high-level grade capable of producing nuclear weapons, despite strong international opposition. Before the 1979 Islamic Revolution, the United States provided Iran with the material requisite to establish a civilian nuclear weapons program in an effort to create “Atoms for Peace.” However, today the issue of Iran’s nuclear propagation is one that is wrought with intense controversy. Iran has often argued that its nuclear program is solely for peaceful purposes, but Western leaders have repeatedly rejected this argument. They contend that while a country has a natural right to arm itself and protect its citizens from external threats, national defense and domestic security should not be allowed to compromise the security of the rest of the world. International anxiety over Iran’s nuclear aspirations has long been elevated because Iran is a signatory of the Non-Proliferation Treaty (NPT)—an international treaty that aims to prevent the spread of nuclear weapons and technology—giving it the right to enrich uranium. However, Iran’s refusal to comply with Article III of the NPT’s safeguard agreement, requiring inspection of its nuclear equipment,[i] has not helped to assuage the anxiety. This has led to pressure in the form of sanctions against Iran and countries that deal with Iran, costing the country a number of allies and forcing Iranian President Mahmoud Ahmadinejad to forge unconventional alliances. Cooperation Agreements or Diplomatic Zealotry? 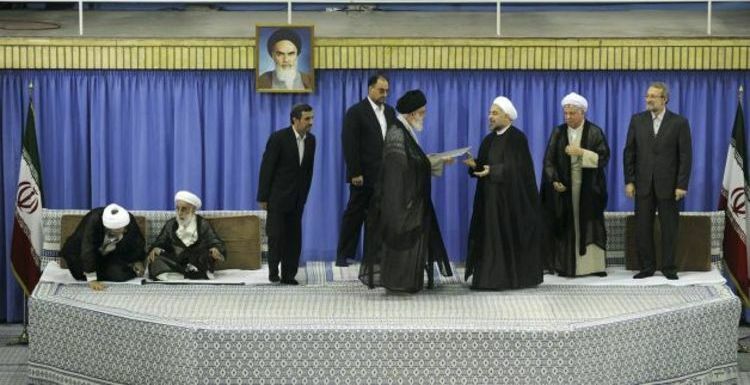 Morales’ political opponents greeted the Iranian president with contempt. Alejandra Prado, congresswoman of the rightist political party Convergencia Nacional, condemned Ahmadinejad’s visit, arguing that his theocratic regime does not respect the “fundamental rights of women, children, and homosexuals,” and that his relationship with Morales’ administration has “never been clear or transparent.”[vi] Ahmadinejad wasn’t received well in Brazil, either. Protesters, many of whom “included Jewish activists, gay Brazilians, and human rights advocates,” lined Rio’s Ipanema beach to contest the president’s visit. This came as no surprise, considering Tehran’s human rights record and Ahmadinejad’s well-documented denial of the Holocaust. [vii] The United States has heightened awareness of the ties between Latin America and Iran, as they fear the creation of a new nuclear weapon launch pad to be a possible outcome of this relationship. Ahmadinejad’s visits may have furthered his international agenda, but conceivably at the relatively high price of further economic sanctions and political isolation. His visit to Bolivia can be seen as an attempt both to strengthen the bilateral relationship between the two countries and to gain a new ally in the Western Hemisphere. 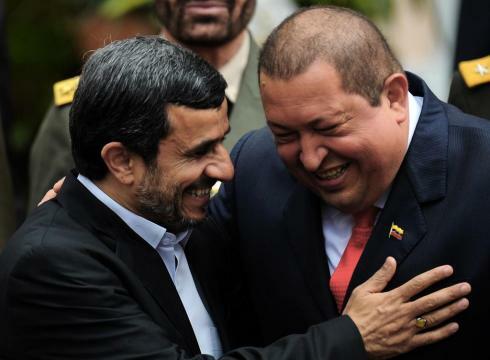 However, in advancing its recent agenda in Latin America, Iran risks losing its biggest strategic ally, Syria. Since the 1979 Islamic Revolution, Syria has been Iran’s strongest (and perhaps only) supporter because, from the outset, the Islamic Republic and Syria shared a common enemy—Saddam Hussein—as well as a strategic alliance against Israel. If the Syrian government, lead by Bashar al-Assad, is overthrown, Iran’s could find itself standing alone with few allies within the region. 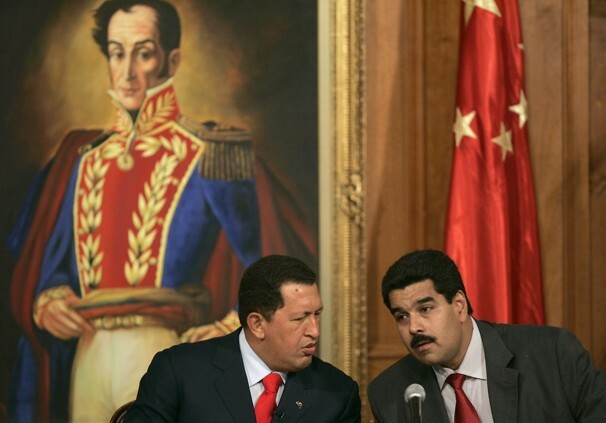 Hugo Chavez’s cancer is reportedly progressing, which jeopardizes the future of Ahmadinejad’s partnership in the Central and South American region. 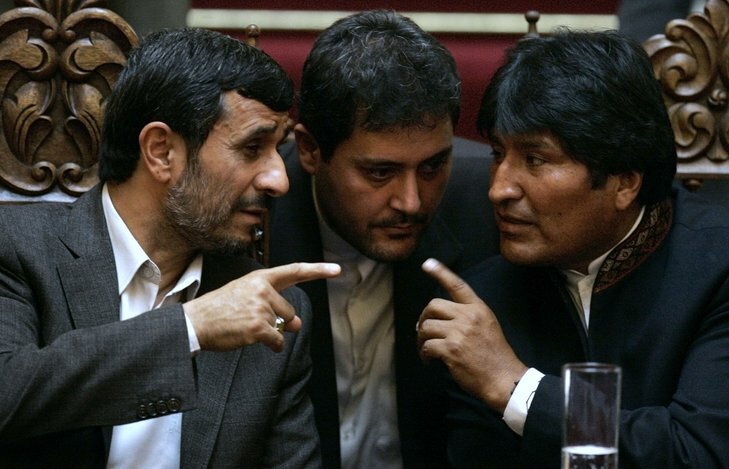 If Ahmadinejad were to lose this strong, cooperative, and influential alliance, he would need to find a way to reestablish a political connection with Venezuela, or seek another ally: Bolivia. [viii] This is exactly what Ahmadinejad’s, June 19, meeting with President Morales accomplished. At a press conference that concluded the visit in La Paz, Morales said, “I have heard through the media that there is a permanent aggression against you, your government, and the people of Iran. I want to tell you, Brother President Mahmoud, that you are not alone; we are here standing by you in your fight against imperialism.”[ix] Proclamations like these encourage Iran’s antagonism towards U.S. and E.U. policies. Iran is attempting to befriend Latin American leaders by assisting them through donations, investment, and trade agreements. In July 2009, the Iranian government agreed to provide a $280 million low-interest loan to the Morales administration, to be used for social programs in developing communities. [xi] Some view such aid as potentially helpful for the beneficiary countries, while critics question Iran’s true intentions. Conflict brews within the country as well. 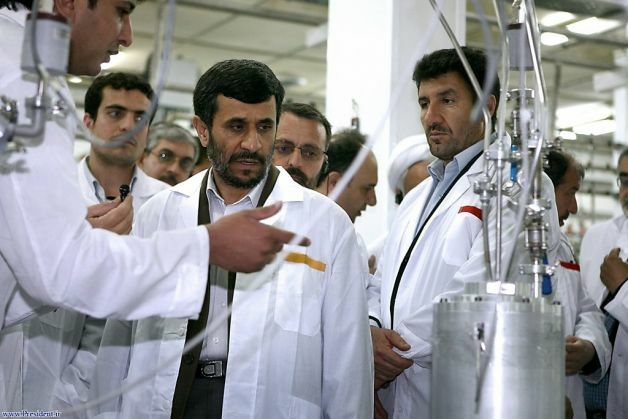 Iran’s supreme leader, Ayatollah Khamenei, had issued a fatwa against nuclear weapons, yet Ahmadinejad appears to continue his pursuit. [xiv] Additionally, tensions have worsened between the mullahs and Iran’s Islamic Revolution Guards Corps (IRGC). Following the Iranian Revolution, the mullahs, under Ayatollah Khomeini, who preceded Khamenei, created the IRGC in an effort to “consolidat[e] their leadership and revolutionary ideals.”[xv] Over time, however, the IRGC has gained significant influence and is now a force potentially capable of changing the regime from a clerical one to a military dictatorship. As a former member of the IRGC, Ahmadinejad has appointed the majority of his cabinet from this revolutionary corps, creating conflict with the clerical apparatus, in that they are more like generals. Time will tell what comes of Iran’s attempted Latin American ties. A “process of change”—as President Morales likes to say—has begun, where these new alliances attempt to balance against the United States and its allies’ hegemonic power. ← Quinoa: Economic Growth Hindering Economic Development?